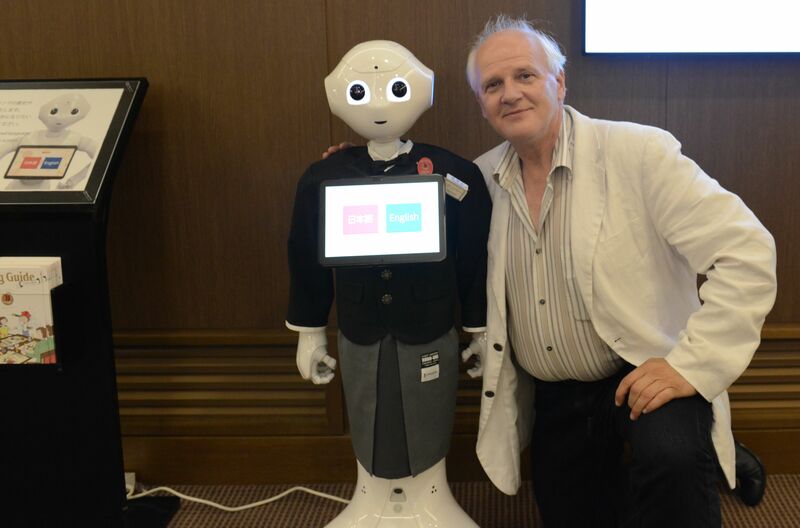 Pepper the robot was waiting for guests at a hotel lobby in Tokyo. I met him/her there at this August. He was greeting me and was very kind, although he/she did not speak Hungarian and I did not speak Japan. But our English was OK for a short chat. If you want to know more about Pepper, watch this short video that was produced by the constructor company SoftBank Solution.